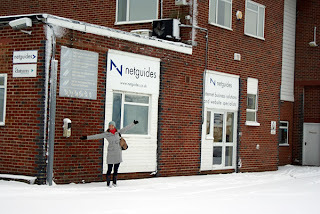 Since 1996 Netguides has worked with hundreds of companies. We provide services across a wide range of industries, delivering cost effective websites and internet business solutions that work hard. We are specialists in providing professionally developed cost effective online business solutions. Our software as a service (SaaS) applications can be closely aligned with your business needs. PCI-DSS compliance - getting it right is tough. East Cowes-based Netguides has developed a new public iPhone app which been released into Apple’s global App Store. The COWES.co.uk App is available for downloading free and was commissioned by IslandHoliday Media Ltd, as part of its work on behalf of Cowes Harbour Commission. 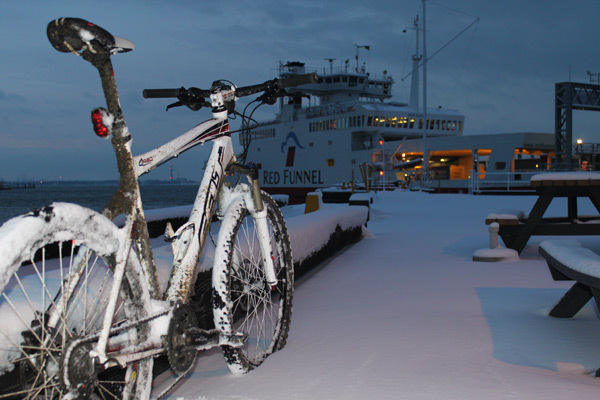 This innovation is central its programme to update the official Cowes Port Handbook and COWES.co.uk website, as the definitive guides to Cowes on and off the water. The app delivers a wealth of harbour information and also combines business listings with Google Maps. It is sure to help visitors navigate the streets of Cowes this summer and find the businesses they need during their stay, as well as providing valuable marine information for those visiting on boats. With an iPad app also recently delivered for another corporate client Netguides is continuing to prove the development muscle of its East Cowes team. Dawn Bee, Netguides Managing Director comments ‘We’re continuing to demonstrate our technical capability and flexibility by delivering projects like the Cowes app. These apps are in addition to our core offerings of websites and online business systems. Netguides provides a wide range of enterprises with the solutions they need to keep their advantage in today’s competitive marketplaces’. With iPad and iPhone apps delivered for existing customers Netguides will welcome discussions with other Island businesses that have a need for an app for their business. Netguides and IHM also plan to roll out the COWES.co.uk app for other mobile platforms in due course. In summary, Firefox is holding steady, IE is falling, but the biggest rise in visitors in this time period is in Safari, which is indicative of the rise of the Mac as a consumer product. Chrome is still only at 7%, which is the same as IE6 - we're finding this is consistent across other domains, too. Obviously Netguides strive to deliver websites which are as cross-browser compatible as possible. This means we're still putting in IE6 work-arounds. How much longer will people keep using this browser?! There was even a mock funeral for this most stalwart of browser in March of this year, but still people are using it (even if it's under 10% of IE users and now approximately 3% of total users!). Thankfully we can report that only 1.5% of the last years visits were via dial-up, so worries about image-rich websites not being accessible are of a relatively low-concern. Likewise the worry about websites simply not fitting on the default 800X600 screen resolution is also now down to 1.3% of visitors. Even 1024X768 is looking quite mean now, with a larger spread of wide-screen and higher resolution screens pushing it down from 28% to 22% of visitors. We were rather surprised to only see 2% and 1% figures for iPhone and iPad respectively. Is it possible that those who've bought these really are just playing games on them?! Android and Blackberry devices are both delivering only 0.5% of the traffic, but this can be expected to grow significantly in the next year. Finally, for 2010 the mobile visitors were split with O2 delivering just under a thousand visitors, Vodafone just under 300 visitors and Orange delivering 150. Food for thought and we are going to see lots more big changes in 2011. All Netguides customers have a basic statistics package on their hosting, which is often topped up with Google Analytics, to provide enhanced, industry-standard statstics. Find out about our Google optimisation products here. We are also now delivering eCommerce conversions from our GemaShop solution, enabling our eCommerce customers to analyse in depth the purchasing habits of their website visitors. We are also using Google Merchant services to successfully deliver products into Google's shopping results, taking customers straight from a picture and price to the buying page on their website. Thankfully, here on the Isle of Wight it is possible for many of us to function normally even in weather conditions such as the type we have experienced in the last 24 hours. 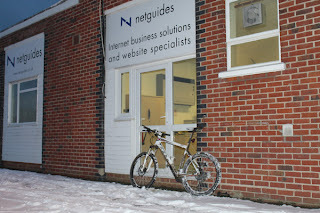 While many commuters are stuck in traffic going nowhere on the countries motorways, a good number of us at Netguides are fortunate enough to be able to take a casual stroll (and pre-work snowball fight) through the sailing mecca of Cowes, or get in an early morning Mountain Bike Ride, passing cars struggling to grip the icy road, and riding trails that have now been transformed into MTB paradise; even the trip home should be . . almost . . a pleasure. If you're a business, you'll probably have a bank account. If you have a bank account, you'll probably have heard about PCI-DSS. If you've heard about PCI-DSS you'll probably be aware that if you take cards in any way that you need to be 'compliant'. With cash becoming less popular and cheques becoming totally obsolete in 2018, if you don't take cards, you're probably going to in due course. After all, they make transactions smooth and easy for customers and provide better protection than cash, or cheques. What these bodies recognised was that online card processing was prone to fraud, often because the websites and applications weren't properly built, or protected. To try and address this issue this body drafted up the Data Security Standard, this is an evolving standard, which sets out measures and best-practice to help ensure not only websites and online applications were secure, but also that the back-office card processing methods used were also properly managed. This ensures businesses treat sensitive card data is properly, both on and offline. The standard will be mentioned in your terms and conditions for taking card payments. By using the card facilities provided you have assented to abide by this standard when taking cards. Normally this means you need to be PCI-DSS compliant. If you haven't subjected your payment processing facilities, both on and off line to these tests, now is probably a good time to sort this out. Why now? 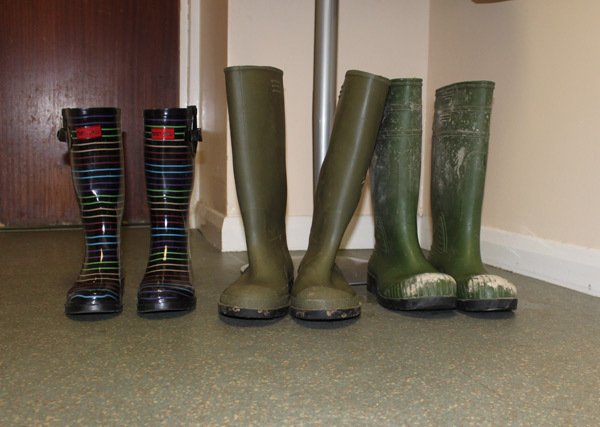 The build-up to Christmas hasn't quite started and we're all back from our summer holidays - now really is a good time! But what if you don't? Small print and terms and conditions don't come back and bite people that often, do they? Actually this is quite a serious condition to have ascented to. Unless you're PCI-DSS compliant, the conditions normally state that the card provider can enforce fines and penalties if your facilities are used fraudulently. Is this just posturing by the banks and card processors? No, Netguides have customers who have been subjected to substantial fines before they came to use our solutions. 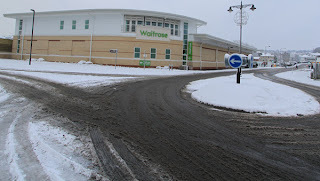 Not only have these businesses been fined by their bank (who really can just take the money from your account) but if their systems have been compromised they have been moved from being a Level 4 merchant, who only needs to complete an annual self-assessment questionnaire and be tested annually, to being a Level 1 merchant. This means an annual on-site audit and quarterly testing of their systems. The costs of the audits are something that the merchant has to bear, too. It might seem a little odd that these fines and quite onerous conditions are being bought to bear on businesses by what is to all intents and purposes, a quango. Unfortunately there was no real other practical and effective way for these processors to enshrine something that would work across country borders, to limit the risk they are exposed to by fraud. So how do you get compliant? Carefully is probably the best way to put it. We've heard of people getting calls from consultants employed by banks to help guide people through compliance. From the stories being relayed to us about this, it sounds very much like these firms are guiding people through answering the questions on the self-assessment questionnaire correctly, to appear compliant. Is this safe? Make your own judgement. We've also had these consultants tell our customers that their online systems just need to be compliant, they don't need to be certified. This seems a very dubious differentiator, especially as the standard regularly changes and evolves. In addition to this, new security vulnerabilities are discovered for pretty much ALL online systems on a regular basis. Being compliant one month, is no guarantee of being compliant the next. Netguides have many customers who take card payments. Whether it's using encrypted emails, holding details in secure online portals, or integrating directly with payment services providers (PSPs) such as Sagepay and PayPoint. Each of these systems will need to be at the very least checked, if not tested. Because of the complexity of the standard, different banks are interpreting it in different ways. One bank may demand that our systems are certified, whereas another may just want a reassurance that we are compliant (in which case we need to use an automated tester). There are over 220 sub-requirements, which provides a huge scope for different interpretations. The complexity of this whole situation has led the Chief Information Offier of the US National Retail Federation to describe it as "little more than a money-making racket for credit-card companies". The British Retail Consortium has also appeal to the card industry regarding the fines being levied. While we understand business objections to the standard, as an IT company we also empathise with the need to ensure systems used to process such sensitive data are well-built and properly protected. 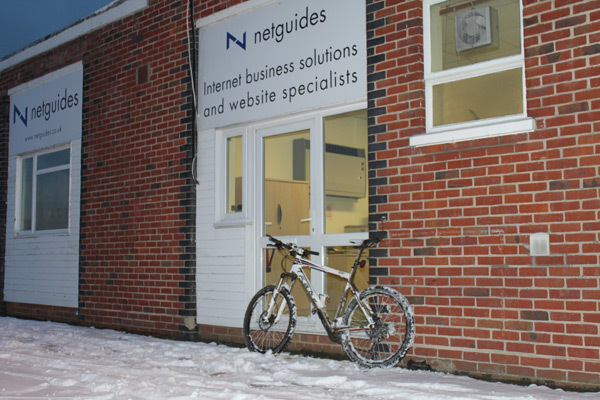 Netguides systems, such as our Gema Business systems, including our Gema Shop, Gema Hotel and GemaPark systems have been built robustly and generally take very little to pass the PCI-DSS testing procedures. If you are considering an online business system and have any questions about how you ensure you are compliant, don't hesitate to give us a call on 01983 282420. 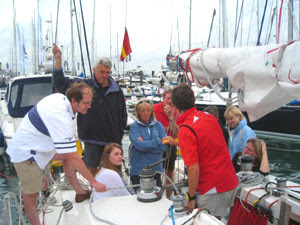 Netguides chartered a Sigma 38 from Cowes Sailing School for a day racing. The weather wasn't great but there was plenty of wind forecast which has got to be good for Sailing. Having met up at the boat and had coffee and a safety briefing we set off to race. Jenny told me that Colin hadn’t done much sailing and she had twisted his arm to come along and was desperately keen that he enjoyed it – so Barrie (Skipper/Crew 1) put him on the helm to take the boat off the pontoon and start the race. He was a natural! We left the marina the put the sails up, doing a drive by of Netguides Waterfront Offices for a wave to the staff, before heading out to sea. Five minutes to the start and the wind blows up. Amanda (Skipper/Crew2) called for a reef to go in. One minute to the start and we have a reef in and are creaming up the start line for a clean start in our own patch of sea. Everyone on the rail, quite a wet beat to the first mark, then a bit of a zig-zag course across and up and down the Solent. We didn’t fly a spinnaker because the wind was too much for our mix of crew but we diligently shook out our reef for each downwind leg and then put it back in for the upwind ones. It was a great course reaching west past Newtown Creek and with enough runs to allow us to grab lunch on the hoof. Everyone had a turn at helming and everyone got pretty wet but I think we all enjoyed it and all but Naomi made it to the BBQ in the evening. Sorry about the bruises Naomi! – I hope you have recovered now. It's said that the cobbler's children are always the worst shod. As such, despite having set up many blogs, Facebook fan pages and Twitter feeds for our customers, it's taken us an inordinately long time to set up our own feeds. Thankfully we're now getting somewhere in showcasing the sort of thing we deliver for our customers! Our new website goes live shortly, too. This should showcase a whole lot more of our recent work! 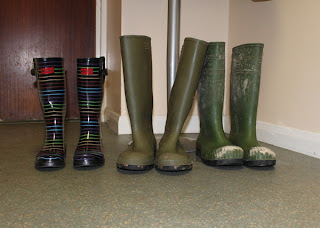 © Copyright 2009 Netguides Ltd. All rights reserved.